A viable source to revolutionise the energy industry or environmental suicide? What is shale gas and how is it mined? Shale gas is a fossil fuel in the form of an earth gas that is found deep in shale rock layers. The gas is mined through hydraulic fracturing (fracking), the process where a mixture of water, sand and chemicals are pumped into the earth at high pressure to form cracks in the rock layers through which the gas can escape to the surface. Boreholes are made at a vertical depth of up to 5 km. Afterwards the tunnels are expanded horizontally for 2 to 3 km. Millions of litres of water mixed with sand and other chemicals are pressurised and pumped into these boreholes. An average of 20 million litres of water is used on one borehole. South Africa’s ground water can be polluted. It leads to severe air pollution. It can have a negative impact on tourism and farming. Enormous damage can be caused to South African roads. An irreplaceable landscape and cultural heritage such as the Karoo can be irreversibly damaged. Evidence exists worldwide of the negative effect that hydraulic fracturing has on the environment. The effect it will have in the Karoo, should mismanagement take place, will be catastrophic. If one looks at the current management of mining activities, one has no confidence that the government would apply proper management on the process in the Karoo. Legislation is also not strict enough to accommodate such a type of development and to date has also not been applied correctly. Regulations from the Mineral and Petroleum Resources Development Act (MPRDA) that the South African government promulgated in 2015 was set aside in October 2017 because the regulations were put in place and promulgated by the wrong minister. AfriForum and Treasure the Karoo Action Group (TKAG) Alliance is of the opinion that the research done by the Department of Science and Technology (DST) and which indicates that South Africa is not ready for hydraulic fracturing, reflects the Alliance’s own research as well as their main court application to prevent the issue of exploration permits. The DST had this research done and a report was compiled by the Academy of Science of South Africa (ASSAF). The findings therein were made public in a report that is known as the ASSAF report. South Africa has various alternative energy sources that must make up a greater deal of our total energy generation capabilities. This includes greater investments in solar energy, wind energy and even kinetic energy from ocean streams and waves. More recent research by among others the University of Johannesburg, in their KAREN-programme, indicates that in a dramatic way it was overestimated how many cubic meters of shale gas is available in the Karoo, South Africa. Some agencies put South Africa’s reserves at 485 trillion cubic feet (tcf) in 2011. South African scientists have now estimated this to be as low as 13 tcf. LPG is readily available to South Africa from Mozambique, Angola, Tanzania, and even the USA at a lower rate than the cost of extracting it from underground in South Africa. Eskom (South Africa’s energy utility) has very few power plants that can be converted readily to burn gas, compared to the bulk of its generation facilities. South Africa does not have established reticulation networks for sending gas from source to industry and residential areas, and the costs involved in such networks bely the relatively short-lived yield. South Africa has abundant sunshine and wind, and solar projects (both governmental and private) have demonstrated that renewable energy can play a strong role in energy supply. The Zuma administration has caused Eskom to pull back on renewable contracts with independent power producers (IPPs), leaving many confused by a move that alienated foreign investors and could have employed South African citizens. A widely-spread shale mining presence (should such a phenomenon occur in South Africa) would have a marked effect on the sustainable jobs in the agriculture and tourism sector, and possibly a negative effect on food security. International figures also show that $-for-kWh renewable energy is creating more sustainable jobs than fossil fuels would. The price of a unit of renewable energy is on par with that of fossil fuel-generated power and still decreasing. AfriForum’s court application puts emphasis on the fact that the wrong department issued the regulations. The Department of Mineral Resources issued the regulations, while it was actually the Department of Environmental Affairs’ responsibility. The Eastern Cape High Court in Graham’s Town recently ruled that the government regulations for the hydraulic fracturing industry are illegal. 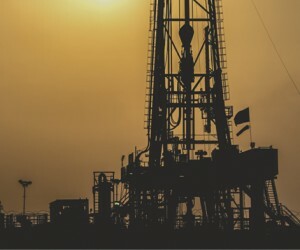 The country therefore has no legislation in place to regulate the various risks that international companies will bring about with the advent of hydraulic fracturing processes. AfriForum and the TKAG also brought a court application against hydraulic fracturing which is expected to be heard in the North Gauteng High Court in February 2018. The civil rights organisation AfriForum and the environmental organisation TKAG protested against Shell South Africa’s applications to continue with hydraulic fracturing in various parts of South Africa, especially the Karoo. Shell SA greeted the group of protesters with silence and the South African Police Service (SAPS) was later called in to remove the peaceful protestors. Fracking Posters and pamphlets against hydraulic fracturing, as well as bottles full of water that was contaminated by hydraulic fracturing chemicals, was distributed to Shell personnel that work at this oil company’s head office in Johannesburg.